The Fuji X-T2 introduced improvements in Auto Exposure Bracketing allowing up to + or - 2EV across 3 exposures. Each time the shutter button is pressed the X-T2 takes three shots; one at the metered exposure the second overexposed and the third underexposed. I set the X-T2 to shoot in RAW + JPG fine (RAW F mode) in the Quick Menu and set the Drive Dial to the BKT setting. I took this shot of a Robin in Regents Park, London. 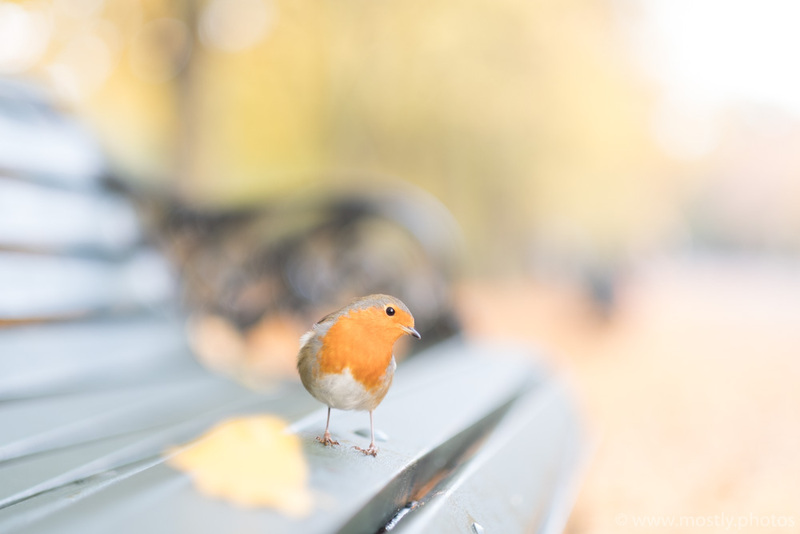 Taken with a Fuji 56mm f1.2 @ 1.2 - This is a challenging shot for HDR as the Robin might have moved a little and the camera was hand-held. De-Ghosting attempts to remove any artefacts that would be caused by movement in the scene. In my experience low or medium work very well in most situations. New kid on the block Aurora 2017 is a full featured HDR Application developed by Trey Radcliff (Who put HDR on the map) and Macphun. It works both stand alone and as a plugin for Lightroom. The multiple pre-sets and intuitive interface make this worth looking at for beginners but it also has depth with multiple high end features. The number of HDR applications can be a little overwhelming but the new features of Lightroom will give you a good idea of the usefulness of this technique and the resulting RAW files give a huge amount of flexibility for post shoot editing. HDR does not have to be garish and over-processed although Aurora 2017 will happily let you 'play' in the surreal. You should take a look at Trey's site for inspiration and also look at these HDR Applications which offer solid features. NIKs HDR Efex pro is now free!